At last this discussion has turned an important corner and we now have the possibility for a really thoughtful solution to the question of what can be done to improve on the summer white tents for the opera, and keep the Holland House terrace open for longer each year. After seeing designs for four buildings to replace the tents, your trustees felt these were unacceptable because they overwhelmed Holland House and lacked the necessary elegance for a Grade-1-listed environment. The trustees felt it was vital to give time to getting the solution to this complex problem right, rather than rush to make the 2016 opera season. With this in mind, the Council sought applications from architectural practices with an innovative track record, experience in working with listed buildings and, if possible, experience in working with theatre spaces. 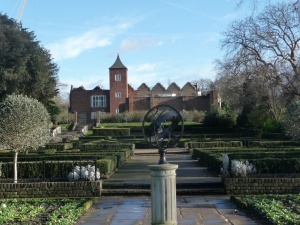 After a rigorous selection process and interviewing of the short-listed candidates, a firm has been chosen on the basis of their respect for the history of the site, their appreciation of the nature of Holland Park and sensitivity about the interests of park users. It goes without saying they have sound architectural credentials. The next stage is for the selected architect to propose options for the Holland Park pavilions to replace the tents. In fact it is likely to be far more innovative than replacing four tents with four buildings on the same footprint. It might be that three buildings will suffice, or two buildings, one of which can be left in place year round and the other constructed annually. There are many combinations to be considered. The space needs to be thought about creatively, so that historic views of the house are retained and buildings enhance rather than detract from the valuable asset we have in Jacobean Holland House. All finalists said we should restore Holland House to being the jewel in the centre of the park, as it once was. Opera Holland Park, now an independent charitable trust, will lease the pavilions during the summer opera season, and they must be fit for the opera’s purpose. Once appropriate plans have been proposed, we have been assured that there will be full public consultation before any planning application is lodged. This will all take time, so it will be white tents again for 2016. If our Secretary, Rhoddy Wood, does not yet have your e-mail address, please do consider letting her have it, as we might need to communicate with our members at short notice to give news of progress on designs or notification of the consultation period. One of the historical neighbours of Holland House is Kensington Palace. We felt it appropriate to find out more about this neighbour at a time when both estates were running notable households. Deirdre Murphy, Senior Curator of Historic Royal Palaces, has kindly agreed to talk to us about Kensington Palace in the 18th century. She will illustrate her talk with pictures of the palace, its residents and its collections. Historic Royal Palaces own important collections related to the history of its palaces, with some objects of national or international importance. Deirdre started as a producer at the Canadian Broadcasting Corporation, and has since studied at the Courtauld Institute and held posts as curator at both the Manchester City Galleries and the Victoria & Albert Museum, as well as lecturer at Central St Martin’s, University of the Arts London. Tickets are £15, to include wine and Janice Miles’ delicious canapés. To order tickets, please download the order form here. Did you know that, in the 1680s, King William and Queen Mary nearly bought Holland House, but instead decided to purchase Nottingham House, now Kensington Palace? Task Force 4 Nature volunteer days (for adults) are every third Saturday of the month from 10.30am to 3.30pm (except in December when it is the second Saturday); meet outside the café. This is your chance to make new friends while getting healthy outdoor exercise: digging, chopping and planting in the wilder parts of the park. Tea, gloves, tools and instructions provided. Further information from the Ecology Centre (contact details above). We are fortunate that the merged Parks Police for both The Royal Borough and the Borough of Hammersmith and Fulham have their office in Holland Park. This means there are always police on site. 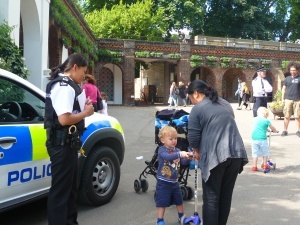 The Parks Police, who are separate from the Metropolitan Police, are dedicated to ensuring that the two Boroughs’ parks are safe and welcoming places for everyone. With around 90 parks and four cemeteries in the Boroughs, they are obviously extremely busy. Some of our members have commented that they seldom see the police patrolling Holland Park as they used to. However, you may be surprised to know just how much they do for the community. In a three-shift day they enforce bye-laws, Dog Control Orders, deal with traffic problems, respond to accidents in the park, and deal with more cases of anti-social behaviour than you might imagine. The reason you might not be aware of all this activity is that they take a preventative approach and aim to sort each problem before it escalates. • Controlled the problem of ‘flash mob’ drinking in the park where groups of up to a hundred 14 to16-year-olds invited themselves into areas where they should not be. Our police worked with the youths and their families to explain why the behaviour was unacceptable. One of the most effective measures was confiscation of the alcohol, which was poured away in full sight of the perpetrators. • Installed automatic gates at the car park entrance to prevent unauthorised access to the park at night. This has been successful in deterring both rough sleepers and dog walkers; the latter entered before the park was officially open, thought themselves unseen, and some did not bother picking up after their dogs. • Co-operated with homeless charities and HM Immigration Service to reduce the problems of rough sleeping, rather than simply turn vulnerable people out of the park. One person was found to have been sleeping in the pigsty, but not while the pigs were in residence. • Dispersed a group of drug users who had taken to congregating in the park. • Worked with the Metropolitan Police when helicopter India 9 was called out to search for three missing children in the park. The children were found safe and well but quite some distance from the park. • Carried out first aid on a number of people who have tripped, slipped or cut themselves. Some have been ferried to A&E. • Issued formal warnings where party organisers persistently flouted park bye-laws, taking over areas of the park so that other visitors could not access them. • Worked with owners of potentially dangerous dogs to avoid incidents. The police have worked with The Dogs Trust and facilitated dog shows in the Borough to promote good dog behaviour. • Issued warnings to people cycling in the park. The first fine has been issued for a persistent offender. • Served Fixed Penalty Notices for dog fouling, depositing litter, and environmental-crime offences. The Parks Police strongly believe that a problem-solving approach is the most effective way of reducing crime and anti-social behaviour, so they work with local communities and park users to identify concerns and find solutions. This work has been recognised through the presentation in recent years of one gold and three silver awards from the Mayor of London’s Safer Parks Initiative. It is also taken into account for the annual ‘Green Flag’ awards. The team operates 365 days a year, during daylight hours, with some late-evening patrols to tackle specific problems. However, their time is not always their own and they are called to help out with events such as the Notting Hill Carnival, the Varsity Boat Race, Fulham Football Club home games, Opera Holland Park, remembrance parades, and providing assistance to the emergency services during major incidents. The fact that Central Government has made significant cuts to local council funding obviously has an impact on the budget for the management of parks and on the number of Parks Police employed. In spite of reduced numbers, the police are ready to respond when needed. They cannot be everywhere in the park at once so they urge that we call the police number (see below) when their assistance is needed. In my experience, they are quick to act and do so firmly but with tact. They can only help us if we help them to do so. We are busy selling Christmas cards this year and need at the same time to be thinking of next. So we are running our annual competition to find the card to represent the Friends in 2016. The winner will receive £150 in return for having their card used. Entries must be received by 15 March. A full briefing will be sent on application to Rhoddy Wood on 020 7602 0304 or rhoddy.wood@virgin.net. At his talk on 27 October Hugh Johnson showed some truly beautiful photos of trees that he knows. Each was chosen to make a point: huge girth, characteristic bark, blossom, autumn colour and more. One of the most breathtaking images was of a stately elm, sparkling white all over with hoar frost. He told us that, before the destruction by Dutch elm disease, there were as many elms in London as planes. Sadly they are almost all gone now. Hugh is a renowned expert on trees but, much more than that, he loves to share his enthusiasm for them, common and uncommon, exotic or native. His examples included a 1000-year-old English oak with huge girth, a towering oak grown straight and high in the French fashion, as well as the exotic camphor tree with its big bulbous ‘bottom’. He described Sorbus tree’s fruits as looking like Maltesers, and the autumn smell of Katsura leaves as like jam cooking. The photo of the great yew hedge at Powys Castle drew gasps from the audience as the height clearly defied gravity. Two of my own favourites were included: the Raywood ash with its clouds of claret-coloured autumn leaves, and a hawthorn from Evenley Wood, one of the most magical woods in the country. One amusing story concerned a cypress in the garden of the Papal Palace of Castel Gandolfo. This very tall slim column of green was kept in shape by a fearless gardener who propped a ladder precariously against the flexible tree, whipped out a pair of scissors from his pocket and set about giving the tree a close trim. If you were not interested in trees before, you certainly would be after hearing Hugh’s stories about the trees he showed. We are fortunate that Holland Park has a number of the species described in the talk: English oak, common ash, beech, hawthorn, larch, Deodar cedar, yew, London plane, Norway maple, Katsura and Raywood ash. Ever wondered how the ladies and gentlemen portrayed in the arcade murals came to be wearing such historically accurate as well as beautiful clothes? This was down to one of our members, Julie Harris, a costume designer who gave her services free. Julie was a distinguished member of her profession, winning many Bafta awards and an Oscar for Best Costume Design for Darling, starring Julie Christie. She worked on a number of James Bond and Beatles films and quipped that 'I must be one of the few people who can claim they have seen John, Paul, George and Ringo naked'. For the murals, Julie researched the period at the V&A. Swathes of fabrics were combined with drawings and costumes to give Mao Wen Biao the knowledge to paint such varied and accurate clothing for his models. Julie died earlier this year, aged 94, and left a sum for her executors to divide among such charities as they felt suitable. Celebrating her connection with The Friends, they gave us £500 and hoped we would put it towards some plantings in the woodlands. We are most grateful to them and hope this signifies that she remained as proud of her work for us as we are. The Friends’ subscription year runs from 1 January. Some of you have already paid for 2016, and a healthy number (about 64%) pay by bank standing order on 1 January. New members who have joined since 1 September are already covered for 2016. To the rest of you, now is the time to pay using the order form (download here). If in doubt, check with Rhoddy on 020 7602 0304 or rhoddy.wood @virgin.net. We would like to emphasise that it is less trouble to both you and us if you pay by standing order; if you do not yet do so, you can download a form here. You will know that your membership card, which entitles you to discounts under our Friends & Neighbours scheme, expires at the end of February. Those who have paid their subscriptions for 2016 will receive replacement cards with their spring newsletters, which will reach them in late February. These talented musicians, led by Natalia Lomeiko and Yuri Zhislin, have promised to delight us again on an evening during the Art Exhibition. It is too soon for them to have decided on their programme; details will be in the next issue. Meanwhile do put the date in your diary. Tickets at £15 can be ordered now on the order form (download here). Each year I say how busy it has been for your trustees, and this year is certainly no exception. The Commonwealth site development is still with us and The Design Museum is undergoing internal fitting out, the Campden Hill development is still being built and the Dukes Lodge developers have appealed against the Council’s decision not to grant consent. Restoration works are needed and planned for the listed Belvedere building and are likely to be followed by work on the Orangery and parts of Holland House. Opera Holland Park is now a private company. The exploration of a more appropriate solution than the summer white tents has gained new impetus, with much better sensitivity for the Grade-1-listed environment. A long-term strategy for trees will at last make sense of what to plant where, for a legacy treescape. We need sustainable and resilient planting to withstand damage, and reduce maintenance. Council budget cuts make all this increasingly challenging. Your trustees are involved to some extent in all of these subjects. We need your support to make sure we continue to have a wonderful park that we and future generations can enjoy. Please do come to the 2016 AGM and share your views. RBK&C Mayor, Cllr Robert Freeman, believes we should all think outside the bubble that we live in and be more aware of what others are doing for the community. He has arranged for Nicholas Hopkins to talk to invited guests about Changing Tunes, a registered charity that uses music to aid the rehabilitation of prisoners and ex-offenders. The Mayor has kindly extended the invitation to any member of The Friends who would like to attend. Nicholas is Chairman of the Board of Trustees of Changing Tunes (London and South East), as well as being a longstanding trustee and former chairman of The Friends, and he will tell us how music succeeds in changing prisoners’ lives to the benefit of us all. The talk is at 10.45 a.m. on Monday, 18 January 2016, in The Mayor’s Parlour, Kensington Town Hall. Please book your place by contacting the Mayor’s Office: mayor@rbkc.gov.uk, or tel. 020 7361 3659. We have two new cards this year, both produced in two sizes, ‘Iris Fountain and Ice House’ by Margaret Whitehead and ‘Holland House and Peacocks’ by Clare Weatherill. These are the same two artists as we used last year, and I am sure you will like their new designs as much as earlier ones. Margaret has been an exhibiting artist at our exhibition for many years and won prizes there, while Clare, though exhibiting (and selling) with us for the first time in 2015, is Chairman of the Society of Fulham Artists and Potters. Due to modern technology Mountbatten Cards, who produce our cards, can print to order still at a reasonable price, so they are not left with large numbers of unsold cards and, subject to about a week’s notice, will not run out of any design. But from the old arrangement we still have a large number of 3 designs: ‘The Alcove and Dutch Garden’ (blank for your greeting) by Terry McGrivigan, and ‘Holland House from the West’ and ‘Belvedere and Arches’, both by Catherine Masterman. These can be bought either as packs of a single design or as mixed packs which include a few other miscellaneous designs. All these can be had for £5 for 10 which is a real bargain especially as, after holding the prices on new cards for several years, the rising costs of materials has forced us to raise packs of large cards (6” x 7.3”) to £8.50, and small cards (4.7” x 6.7”) to £6.50. As always, there is a further wide choice of cards in the enclosed brochure and even more on the website www.mbcards.co.uk. If you send your order to 21 Kenton Court the minimum order is 10 cards, and we will deliver free within our newsletter hand-delivery area, but have to charge £1.50 postage per ten beyond that. If you order from Mountbatten cards directly, delivery is free to most West and Central London postcodes, but is £5 if outside that area or the order is for less than £30. Overprinted cards must be ordered from Mountbatten. In either case envelopes are included and there are discounts of 5% on 100 cards, 10% on 200 and 15% on 300. We hope that you will all nominate FHP as the recipient of the charity donation from Mountbatten of 25% of the profits, but you are free to choose any charity. Please see the back of the Order Form to look at this year's cards. We are sure that you are all looking forward to this highlight of our year and, for some, the first taste of Christmas 2015. The Tallis Chamber Choir and their conductor, Philip Simms, will be performing a great variety of beautiful carols interspersed with seasonal readings. Their choice of programme and their musical standard seem to get better each time they visit us; and do not forget the icing on the cake: wine and Janice Miles’ exquisite canapés. Tickets, at £20, can be ordered on the order form which can be downloaded here. We would encourage you to order soon, as this is our most popular event. If the beautifully intricate gates at the Earls Court entrance to the park disappear over the next few months, there is nothing sinister afoot. Dating from the 18th century, these gates are believed to be a fine piece of French ironwork with clever adaptations over the years. They were brought, in poor condition, from Belgium by the third Lord Holland, and erected in their current position in 1836 with new overthrow and railings to match. Since that time they have taken a battering, bits have broken off and other parts been damaged. 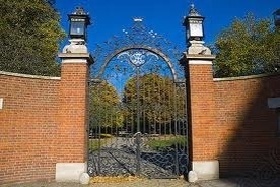 Fortunately The Friends knew where the missing ornaments could be found and worked with Park Management to revive an earlier plan to get the gates repaired. Wheels occasionally grind very slowly and it is only now that the Council has it in its sights to send the gates ‘to hospital’ for specialist conservation work. This delicate task will take some time, but it is expected that the gates will be back in place in all their new found glory in time for the opening of The Design Museum in late 2016. The grass under the big trees either side of the path from Kensington High Street up to Holland House tends to be sparse and muddy, especially in winter. Tree surgeons have recently thinned the canopies of the most dense and low-hanging trees to allow more light through to the grass beneath. That, together with planting of a tough, shade-tolerant grass will, we hope, stand a better chance of surviving the very heavy footfall, and providing us with an attractive green sward. After undergoing an extensive refurbishment, the hostel is once again taking bookings. Re-cladding of the Casson building is completed, and the much-improved interiors have capacity for 380 beds accommodated by better use of space and removal of the kitchens. There will be no restaurant on site but there will be a breakfast room, bar, pool room and roof terrace. As under the previous management, there will be no access to the park once it is locked for the night, and the night entrance to the hostel will be via Holland Walk. The Friends have asked that the signage is appropriate in size and design to the Grade-l-listed setting of Holland House. The dialogue continues about what can be done to open the Holland House terrace for longer each year than is possible with the opera tents. In spite of many meetings, a suitable solution has not yet been found, but now the debate has opened up to consider creative alternatives to the tents that could be of benefit to the park, while providing facilities for Opera Holland Park in summer. One option was ‘de-mountable’ buildings that would be left in place year round, providing that good views of Holland House are not blocked outside the opera season, the buildings are appropriate to their Grade-l-listed setting and that winter usage is such that there is no additional noise, litter, traffic or signage. If a feasible solution is found, we have been assured that there will be full public consultation. Getting this right is taking time, so park visitors and Opera Holland Park will be stuck with the white tents for 2016, for which the usual planning consent will be required. By the time you read this, Opera Holland Park might have passed from Council to private ownership, operating under a licence granted by RBK&C. You might have noticed that the sports field is closed. It is not expected to open again until at least mid-October. This is to allow it to recover from the very heavy use it has to endure, and provide an opportunity to re-turf it and let the new turf take before all those budding David Beckhams return. The Borough Ecology team run very popular activities for children to learn about our local flora and fauna. Bookings have increased and now it is time to make sure young enthusiasts stick to the path in the Wildlife Enclosure and cause as little disturbance as possible to the environment. The main path within the enclosure is being marked out, using wood from fallen trees in the park, nearby boroughs and brought in by the tree surgeon companies used by the Council. Once the path is completed, the intention is to add dead hedging and shrubs to reduce off-path wandering. Dead hedging is a ‘hedge’ built with dead brushwood, secured between wood pegs. A couple of areas have been over used, are consequently barren and will be replanted to re-establish the flora and provide a habitat for the wildlife which the children come to see. The path work is being carried out by corporate volunteers, so far involving enthusiastic groups from Lloyds, Google and Burberry, plus a small but very keen group of teenagers from a housing association. As you can imagine, it takes considerable organisation both to book the volunteer groups and to oversee the work carried out by people who mostly spend their days sitting behind a desk. This task falls to Quadron’s Corporate Development Manager, Andrew Kauffman, and it seems he is doing an excellent job. Groundwork have also helped through their Task Force for Nature scheme which runs a volunteer day in Holland Park every third Saturday of the month [see Dates for Your Diary]. One of the benefits of being a member of The Friends is the ‘Friends & Neighbours’ programme, which allows members a discount on purchases from businesses local to Holland Park – our Neighbours. So far eleven Neighbours have joined the scheme. Do visit them. We will be giving you a flavour of a few of them from time to time. This thriving family business offers an authentic Italian experience in its Notting Hill restaurant and deli. The owner travels to Italy to source the best produce, which is evident in a regularly changing menu, and the coffee is good. Manager, William Amaral, is proud of the team’s friendly service that keeps customers coming back. Open for breakfast, lunch, dinner, coffee and pastries, 7 days a week at 145 Notting Hill Gate, tel. 020 7702 1181. Offer: 10% off restaurant and deli purchases. Rassell's plant nursery has been on this site for over 100 years and is a local institution. The plants for sale change with the season and you can find unusual gems among the more recognisable trees, shrubs and annuals. The staff show real interest and are great on advice, from what to plant to how to plant it and what treatment it needs to survive. They also sell cut flowers and house plants. 78-80 Earls Court Rd, tel. 020 7937 0481. Offer: 10% on all purchases in the nursery and flower shop. Well used by visitors to the park, this café serves light meals, snacks, hot and cold drinks, sandwiches and pastries. It is very pleasant to sit on the terrace on a sunny evening, watching the more energetic rushing around the sports field. Customers include mums and dads with young children, chess players, park visitors from all over the world and a few people earnestly taking advantage of the free WiFi to catch up on e-mails. Just north of the Ilchester Gate, in Holland Park, tel. 020 7602 6156. Offer: 10% on all purchases over £10. There is a choice of relaxing treatments in the spa, an invigorating swim in the pool, exercise classes, or a workout in the gym. They claim to have the largest swimming pool in Kensington (18m) and swimming is not only fun but is one of the best forms of exercise. Some health clubs can be daunting but this one is not and has friendly and helpful staff. Tel. 0844 770 2322. Offer: £72 p.m. for min of 3 months. No joining fee. 20% discount in hotel restaurant. Other participants in the scheme are Gallery 19, Lipp, Gelato Mio, Kensington Place, Miles & Miles, Il Portico, Hollands Wine Bar and Jeroboams. More information is on our website. It has been a long time coming, but we are nearly there and expect to have copies of the new guide available from the end of September. You can order a copy by downloading the order form here, or you can buy a copy from the Park Office in the Stable Yard. The price is £4 for the 20-page booklet, complete with map and details of all the features in the Kyoto and Fukushima Gardens. The annual questions arise: will the trees be laden or resting? Will they have fallen to anno domini, winter storms or the woodman’s axe? Or what undiscovered ones might there be hiding behind a hitherto unexplored bend? Until we have the answers we cannot say whether there will be crab apple jelly for sale this year, though we live in hope. Intelligence of new trees is always welcome but remember that red fruit that looks so pretty in our gardens is too sweet to give the jelly its unique tang. Rather we want the tiny greeny apples that come on the wild trees and taste so bitter that they dry your mouth. Do ring Rhoddy on 020 7602 0304 after 1 October to discover what is available. There is still time to book for our autumn talk on trees, which will be given by expert Hugh Johnson. Hugh loves trees of all kinds, exotic or native, including our own in the park where he is a regular visitor. He is the author of The International Book of Trees, was for many years Editorial Director of the RHS journal, The Garden, and writes Tradescant’s Diary which appears online and in Hortus magazine. Tickets are £15, to include wine and Janice Miles’ delicious canapés. Mon 27 July ES. Summer holiday children’s activities. Must book. £. 26 – 30 Oct ES. Half-term holiday children’s activities. Must book. £. We are fortunate that Hugh Johnson has agreed to give our autumn talk, not only because he is a renowned expert on trees, but because he loves to share his enthusiasm for them, common and uncommon, exotic or native, including our own wonderful trees in Holland Park where he is a regular visitor. 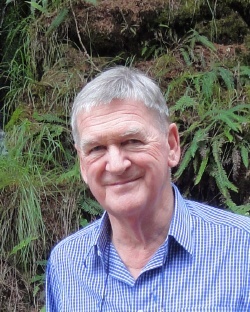 Hugh is the author of The International Book of Trees, was Editorial Director of The Garden (the RHS journal) for many years and writes Tradescant’s Diary which appears online and in Hortus magazine. He is also the expert behind all those helpful guides on wine, but that’s another story. In his book he says his aim was to bring trees into focus for everybody who was aware of and loved trees, and to tell their story through words and pictures. That is what I think he will do for us, and we are in for a treat. Tickets are £15, to include wine and Janice Miles’ delicious canapés. To order tickets please use the order form which you can download here. 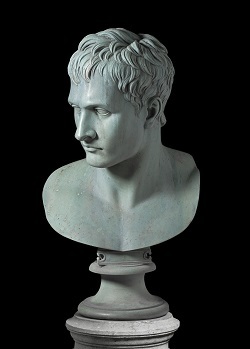 The bust pictured here is of Napoleon by Antonio Canova, and can be seen impressively displayed until 16 August at the entry to Room 90 of the British Museum. There it forms an introduction to an exhibition of ‘Prints and Propaganda’, caricatures from contemporary supporters and opponents of Bonaparte. The exhibition is witty and instructive, well worth visiting for its own sake. We are featuring the bust here because for many years it stood in the Napoleon Garden, now more commonly called the Dahlia Garden, in Holland Park, until it was removed for safe keeping at the beginning of World War II. Your late chairman, Christopher Wood, sought to locate it in the 1990s but it appeared to have vanished until it was lent to the British Museum for the exhibition. We are assured that its permanent home is still with the Ilchester family. Photo reproduced by kind permission of the British Museum. On 18 April we were delighted once again to welcome to the Orangery the two leading lights of the Russian Virtuosi of Europe, Natalia Lomeiko (violin) and her husband Yuri Zhislin (violin and viola), both professors at The Royal College of Music. The programme was original with a strong pedagogic emphasis. We started with Mozart’s Duo for Violin and Viola in B-flat major, K424, This was the second of two duos which Mozart composed in 1783 to complete Michael Haydn’s set of six for Archbishop Colloredo of Salzburg. The set was presented as all Haydn’s, and the Archbishop did not detect Mozart’s workmanship. The duo is in three movements of which the third is a set of variations on an original theme, but the skilfulness of the composition is such that, although there are only two instruments, it gives the same sort of impression as a string quartet. The second work was an arrangement for two violins by Russian violinist L.Chistiakov of a selection of pieces from Tchaikovsky’s Children’s Album: 24 piano pieces written to be played by children. The pieces are very short and have a wide variety of themes: from toys to dances to marches to charming folksongs. The final work was a selection of Bartok’s 44 Duos for Two Violins. These were composed in 1931 for Erich Doeflein, a German violinist and teacher, as pieces to be played by students. The work is divided into four books, each progressively more difficult to play. All are based on folk music from many Eastern European countries including Hungary, Romania, Slovakia, Serbia and Ukraine, and one has Arab origins. All three pieces were stimulating, had great variety and were so brilliantly played that one did not appreciate fully the complexity of the pieces. It was a fascinating and most enjoyable evening, and we look forward to welcoming the Russian Virtuosi again. Our annual Pimm’s party this year falls on Bastille Day which fits in well with this issue’s lead article about Napoleon and the Hollands. Unusually, this year the party will be held in the Orangery and, if fine, on its lawn, due to the unavailability of the youth hostel garden. There is no opera performance in the park that evening, so no date-clash there, and you still have time to order your tickets and look forward to Pimm’s or soft drinks and luscious canapés. The event is only open to Friends and their immediate guests, and we will be inviting one or two special ones. Your tickets, at £17 each, can be booked on the order form which can be downloaded here. In the Orangery on 24 February the Director of the Design Museum, Deyan Sudjic, gave an interesting talk with beautiful illustrations, partly about the history of the museum but also describing its proposed layout in its new home, the old Commonwealth Institute building in Holland Park. In his introduction Mr Sudjic said that the success of the new location depended on warm relations with the museum’s neighbours. Amen to that; in fact, most people seem to be more than happy to gain such a wonderful asset in the borough. Mr Sudjic has a strong affinity with our neck of the woods: he was born in St Mary Abbots Hospital in Marloes Road; for his first three years he lived in Oakwood Court and was often wheeled around Holland Park in his pram. He trained as an architect but felt it his duty never to build anything due to his ‘incompetence and lack of patience’; so he went into architectural journalism. The sum of £45 million had to be raised to transform the building. The copper on the roof had to be renewed; and the sophisticated new pale-blue glass skin on the sides means that the structure’s original appearance will be retained. The floors had been so tightly designed, with no possibility of modification, that they all had to be taken out. The new floors are at the same level as the originals. The top will house the permanent collection, changing every five years, a members’ room, an events space and a restaurant (closing at 11 p.m.); on the first floor there will be a reference library, a learning centre and offices; the ground floor will have the largest gallery, used for temporary exhibitions; some of the latter will also be displayed on the lower ground floor where there will also be an auditorium (for talks and seminars), shops and a café. Entry will be free. The museum will in part use volunteers. Other museums such as the Science Museum will be asked to lend objects for display. Mr Sudjic pointed out that we were in a new industrial revolution: a digital one; design was changing at an unprecedented rate: one only had to look at how the smartphone was all but replacing books, maps and cameras. At the time of this talk the residential development flanking the building was far advanced, but the museum had not yet moved into the building to begin the fitting out; however, it is scheduled to open to the public before the end of 2016, and we feel sure that there will be a lot for local residents to enjoy. If you have not yet tried the delicious honey produced by the park’s bees, you will be glad to know that our beekeeper, Des O’Grady, is holding over stocks so that it will still be on sale in the spring – in the park office, as usual. He is partly doing this in order to benefit hay fever sufferers: there is a theory that if you are allergic to plants in your locality, it helps to eat honey produced in the same area, at least in part from the same plants. This summer our Pimm’s party will be held in the Orangery. As you know, we are usually offered the youth hostel garden, but new ownership and consequent building works do not allow us the opportunity this year. We have, as an exception for The Friends, also been allowed use of the lawn outside the Orangery because we have booked through RBK&C under their licence and not as part of The Friends’ own licence for events in the building. We will have a wonderful view of the gardens and the Ice House, but we must set a good example by keeping the party to the allotted space as we sip our Pimm’s and nibble on delicious canapés. This is our one event of the year which is only open to Friends and their immediate guests. The trustees will, as always, be inviting one or two special guests as a thank-you for their cooperation with The Friends in our endeavours to make the park a pleasant place for all to enjoy. To book your tickets, at £17 each, please download the order form here. 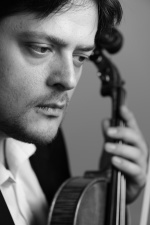 Our two favourite musicians, Natalia Lomeiko (violin) and Yuri Zhislin (violin/viola), are coming again to delight us. They will be playing Mozart’s Duo No. 2 for violin and viola, Tchaikovsky’s Children’s Album, arranged by L. Chistiakov for two violins, and Bartok’s Duos for two violins. Surely a bargain for listening to two professors perform, tickets are only £15, to include wine and nibbles. We are sure that those who have not yet booked will be eager to do so. Please download the order form here. Last year’s competition to find an artist to paint a picture for our Holland Park Christmas card was a great success as we ended up with two designs - Holland Park through the Trees and The Kyoto Garden. So we want to repeat this for 2015. The winner will sell their painting to the card company for £150. Entries must be with the Friends by 10 March. Please ask Rhoddy Wood for the briefing if you are interested. Safestay has secured a 50-year lease on the Holland Park hostel buildings and is undertaking a £2m refurbishment that involves a complete upgrading of the interior facilities in both the Grade-I-listed East Wing of Holland House and the modern Casson building. Bed numbers will increase to 380 through more efficient use of space. Two planning applications for interior works were lodged on 28 January, and a further application will be lodged for exterior re-cladding of the Casson building. No planning application has yet been registered for external conservation of the East Wing of Holland House. The ‘boutique hostel’ plans to open in late spring 2015. We will have more information in the summer newsletter. Work on the old Commonwealth Institute building and the site’s residential development has proved more complex than expected, and the developers have been delayed in handing over the Grade-II-listed building to The Design Museum. The museum will carry out an interior reconfiguration and fit-out during 2015, and will open to the public in 2016. The RBK&C Planning Applications Committee refused consent for the proposed plan, citing several reasons including ‘excessive excavation’ and ‘loss of open space and trees’. The planned development would have been immediately adjacent to the north-east corner of Holland Park. For a long time your trustees have been asking what can be done to reduce the number of cars and vans entering via Ilchester Gate and driving into the café yard or across the front of Holland House. Head of the Parks Police, Inspector Rumble, has a plan. A letter will be sent to each establishment in the park stating that deliveries must be made before 11 a.m., after which one half of the entry gate will be closed so that traffic cannot enter. Construction lorries will not be permitted entry after 9 a.m. If budgets allow, the intention is to install pop-up bollards at the entrance – a more efficient solution. A budget is now available to make the car-park gates at Abbotsbury Road automated, thereby reducing trespass after hours. The park’s quirky drainage (porous gravel on the high ground and impervious London clay beneath) causes puddles where they are least expected. Park Management commissioned a SUDS (Sustainable Urban Drainage Systems) report, and plan to channel excess water using natural means. It is even possible that the dried-up bourn that ran through the Wildlife Enclosure will see a trickle of water again. If only the water could be stored for use in dry summers.